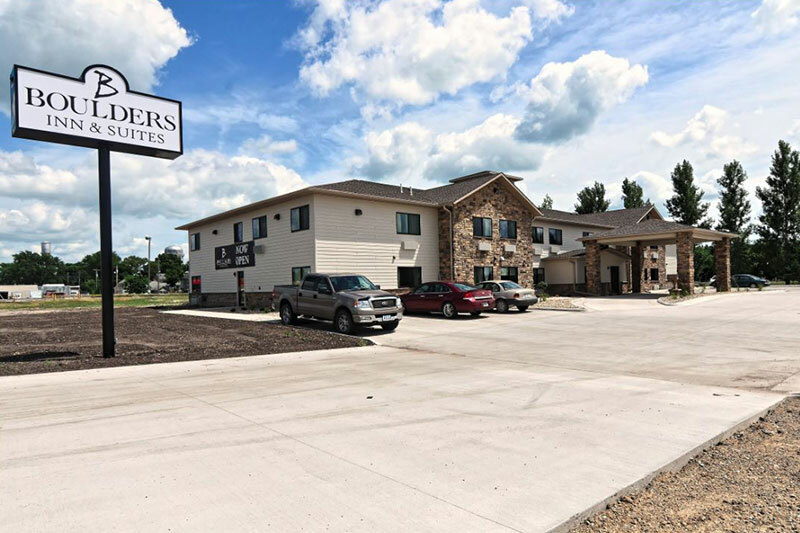 Welcome to Boulders Inn & Suites in Clarion, IA, located just minutes from downtown, Clarion has numerous activities and sights to take in. Guests may enjoy access to Lake Cornelia and Elm Lake, where boating, fishing, and picnics are all very popular amongst residents and visitors alike. Whether you’re planning a business trip, romantic get-away or afternoon of boating, our Clarion, Iowa hotel offers the tranquility necessary for you to be at your very best. Our contemporary guest rooms and suites are tastefully decorated, well lit, and offer a soothing atmosphere that will make you feel at home. Additional amenities include a hot breakfast daily, fitness room, business center, wireless internet, and luxurious bedding. From the moment you enter our spacious lobby our friendly, professional staff is at your service and will be happy to help you with the many amenities offered at Boulders Inn & Suites.